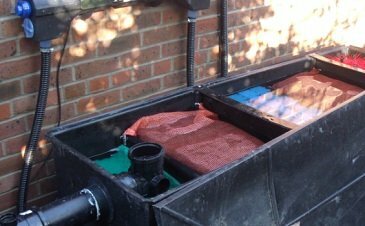 Specialist fish & koi pond filtration. Specialist pond filtration design and installation. Picture source Ornamental fish ponds. This pond filter belongs to a pond design in Dorset, UK. Water Scenes have more than years experience installing koi pond and fish pond filtration. We use our vast knowledge of filters UVs pumps and other pond equipment to design your perfect filter system to suit your budget, fish and pond area. We also design and construct private and public water features. Call now on 0800 232 988 or email us via our contact page.